Disclaimer: Some of the links you will find below are affiliate links, meaning that at no additional cost to you, I will earn a commission if you click through and make a purchase. Cookies will be used to track the affiliate links you click. I was send product for review. All opinions are my own. Who knew getting a box of 13 peaches could be this fun? Peaches = FUN! Thanks everyone for the feedback I got on the first post of this series. 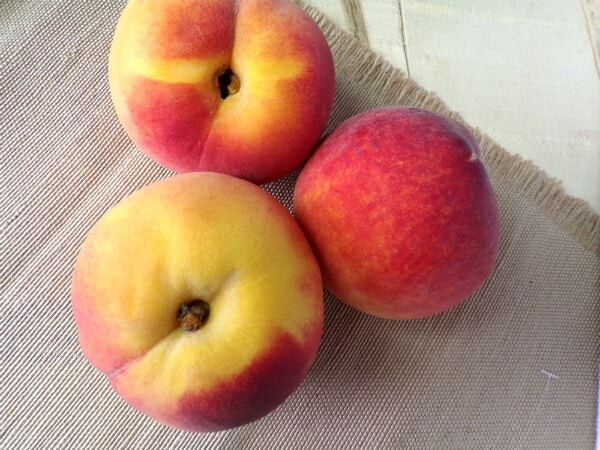 These are Fire Prince Peaches from Pearson Farm. I received them in my 2nd shipment. Pearson Farm is not new to the game at all. In fact they go all the way back more than 130 years! Here is a brief excerpt of their story from their website. Make sure you check out their site for the full story. For five generations the Pearson family has farmed the red clay of Crawford County. The duties involved in farming the land were willingly accepted as honorable, God given privileges as much then as they are today. More than 130 years ago, in 1885, Moses Winlock “Lockie” Pearson and his wife, Cornelia Emory “Emma”, moved to this area and planted the first peach trees for the Pearson family. RELATED When Does Peach Season Begin (and End)? The peach I received in this week’s box is called Fire Prince. The peach had good flavor – that was equally balanced between sweet and tart. It was not as juicy as the Blaze Prince peach I had the previous week which was a 10 out of 10 for juiciness. Fire Prince is by no means a dry peach. The flavor of Fire Prince peaches had a quality to them that I thought would be good for a pie. I made this peach pie with them for my wife’s birthday and you say I was right about Fire Prince being perfect for a pie. 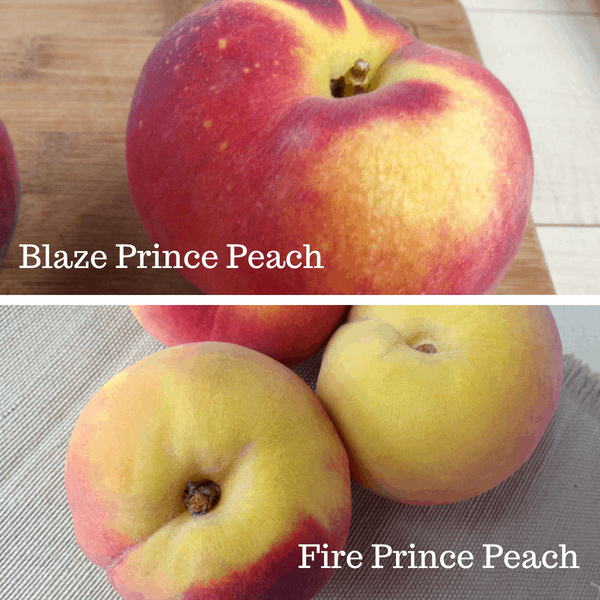 The Fire Prince peach is grown by Pearson Farm to fill in the gap that existed between when two different peach varieties ripen. Fire Prince is not as widely grown as other varieties. The goal of an orchard is to have a continual supply of peaches throughout the growing season. If all your peaches ripen up at the same time then you won’t have peaches very long. Orchards choose to grow a variety of peaches that ripen at different points so that they will have peaches for the longest time possible. I am witnessing that progress first hand with the different varieties of Prince peaches I am getting, all ripening at different times. The pit came off half the peach. The other half it was clinging just a bit to the flesh of the fruit. Do You Have Peach Fuzz Allergy? Have you ever biten into a peach and feel your mouth starting to itch? I am not sure if you are really allergic to it or that the fuzz just irritates your skin. This can happen with many different plants. I have heard of people picking zucchini and felt itchy from touching the plant that can have “little pokes on it”. Yes you could have a full blown allergy which would be something you want to get tested for. My wife and middle daughter are both bothered by peach fuzz. I have found that it really depends on the peach. Peaches that are super fuzzy you can rub the skin and it feels like a dog shedding. Some peaches barely have any fuzz at all. My wife has tried both the peach varieties we have gotten this year from Pearson Farm. She has had no problems with either of them. 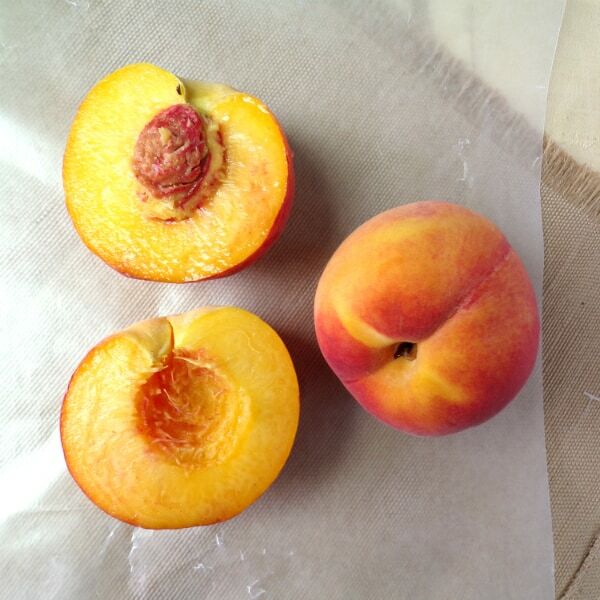 Both of these peaches weren’t very fuzzy. I actually don’t mind the fuzz. The truth is one of my favorite peach eating experiences of all time is when I got these peaches that you could see the fuzz falling off one but inside was a super flavorful peach. RELATED What are Semi-Cling Stone Peaches? If the fuzz keeps you from eating peaches there are some things you can try. Don’t do this if you think you have a serious allergy, but if the fuzz just slightly bothers you, I would first try to remove some of the fuzz. You could do so by ruining it under water and using a paper towel. This may remove enough fuzz to make the peach good for you. If all else fails you can peel the peach but I would really want to try to avoid that. Why? Because the peach skin contains some good stuff for your body. I hate would have for you to miss out on those. 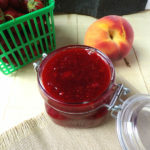 For this week’s recipe we got a small batch jam made with fresh strawberries and 1 peach. For us, local strawberries are in season, so they were perfect to pair with a peach from the box. It’s a simple technique that I use to make small batches of jam where I only need a kitchen scale to measure my ingredients. 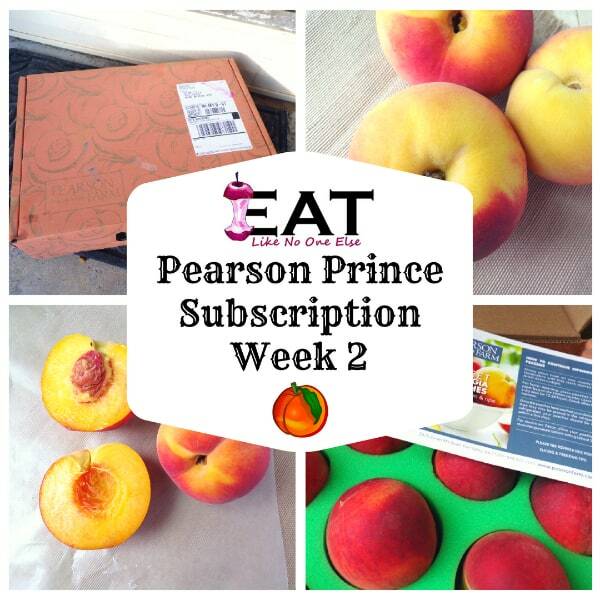 What you do is weigh out one peach with the pit removed, then weigh out an equal amount of strawberries. Take the weight of both fruits combined and add the same amount of sugar – never said it was a sugar free jam! Throw in 1 teaspoon of pectin and your ready to cook your jam. Since you are doing it in small batches, you preserve more of the flavor of the fruit. 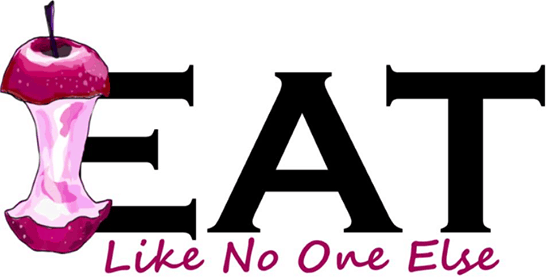 It’s also great for those that don’t want to or don’t have time to slave away all day with a big jam making session. Also note I don’t peel the peaches. I just put them into my food processor. The skin adds color and flavor. And who wants to peel something if they don’t have to. 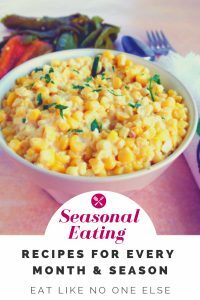 Place a small plate in the freezer for later use. Remove the pit from the peach. Weigh the peach on a kitchen scale. Weight out equal amount of strawberries. Remove the top from the strawberries. Place the strawberries and peach into a food processor. Using the pulse button, chop the fruit until the pieces are small, but not completely pureed. In a large bowl, weight out enough sugar to equal the same weight of the peach and strawberries combined. Add the fruit on top of the sugar and mix well to combine. Heat a frying pan or skillet over high heat. Add the fruit and sugar mix to the pan. Stir regularly until the jam starts to thicken. Remove the heat. Put a small amount of the jam on the plate you put in the freezer. 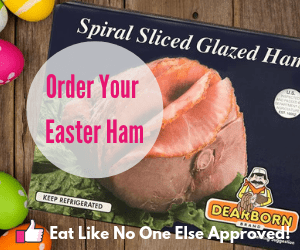 Put back in the freezer and wait for 1-2 minutes. If the jam is set, it won't hardly move if you turn the plate on it's side. If the jam easily runs down the plate, you need to cook it longer. When jam is done, place into a jar and into your fridge or freezer. This jam is not mean to be canned or left at room temperature.